Hey guys, cleaning up my closet. 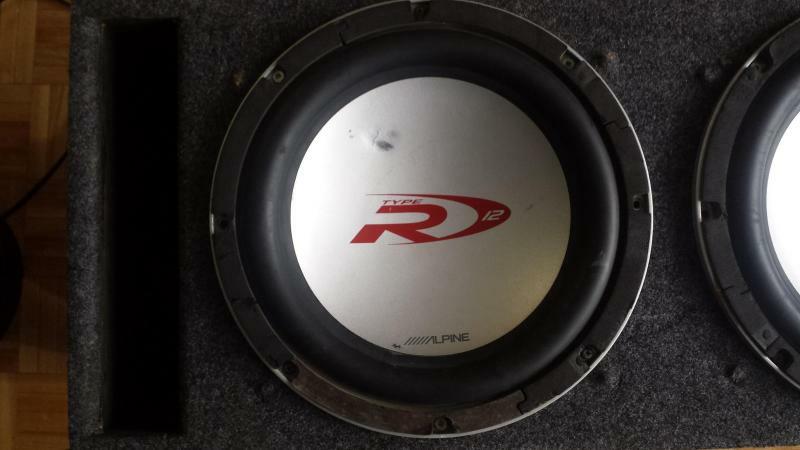 Selling my 2 x 12" Alpine Type R subs with a box. 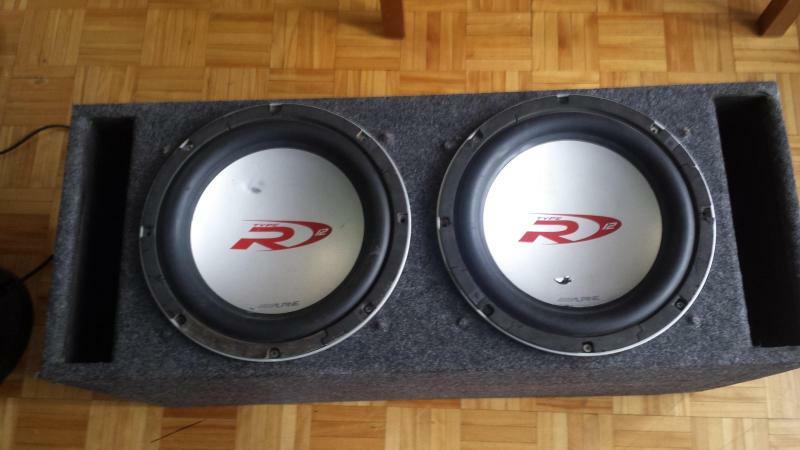 These subs are the older models with better rubber and they are rated at 500W RMS (1000W max) each ! 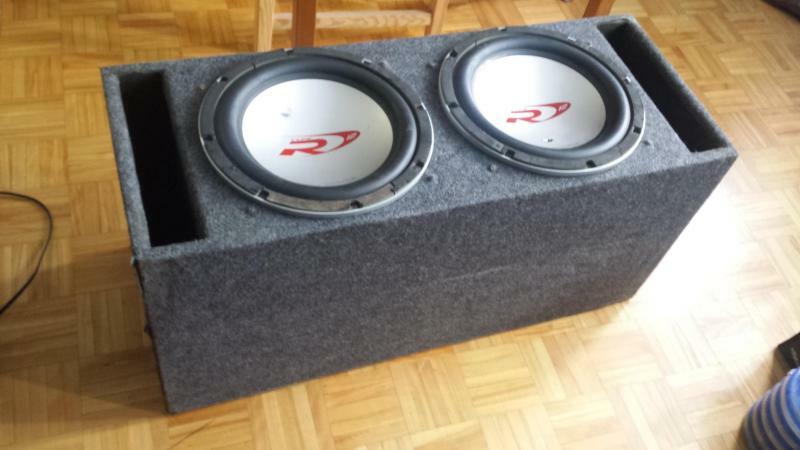 The box is well built and it is really heavy with the subs. Subs and the box do show sign of cosmetic wear. 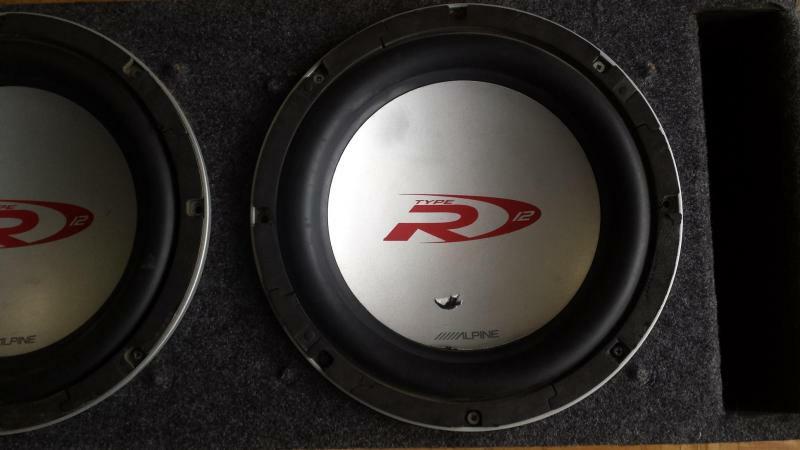 However, I can gaurentee these subs were working fine in my car with the Alpine PDX 1000 amp. Never had any issues with them. Box have some carpet holes as I had the amps installed on it. You can test it out yourself. Asking $340 or best offer. I will throw in the generic metal grills to hide and protect the subs. Pick up/Meet up in Scarborough/Downtown. Call/txt at 647 838 2946. Thanks ! Price drop. Asking $260 for quick sale. Where r u located ? Located in Toronto, ON around scarborough area. What is the load on the subs? How are they wired what is the final load?